Over the past few years, I’ve thought a lot about buying investment property. In the long run, I’d love to build a portfolio of rental properties. We have not, however, had the time to make it happen. Given the recent history of housing market, perhaps this is a good thing. Of course, those same housing troubles have now (arguably) created a lot of opportunities. In many areas, home prices have fallen dramatically, and the number of foreclosures has skyrocketed. Given the above, a recent article in Money Magazine that provided tips for buying a foreclosed home piqued my interest. For starters, they pointed out that (nor surprisingly) it’s easier than ever to find foreclosed homes. Beyond that, they offered the following four tips on the mechanics of the process. It’s best to buy from a bank. If you buy a foreclosed home at auction, prior to repossession by the bank, you may have to pay cash, and you may not be able to inspect it. You might also discover that there are existing liens against it. 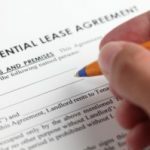 When a back repossesses a home, they should clear any outstanding liens. Bring in a contractor before you buy. Foreclosed homes have often been abandoned, and possibly vandalized. Instead of simply relying on a home inspector to point out the flaws, bring in a contractor and ask for an estimate of how much it will cost to fix everything. Bid low. Banks often list their foreclosures at market prices, so be prepared to haggle with them. If the home you’re interested in has been on the market for awhile, or if the bank has a large number of foreclosures on hand, they’ll be more willing to deal. Be prepared to wait. Many lenders are dealing with a huge number of properties, and it might take them awhile to respond. According to the article, the wait can be as long as three months (!) in some cases. Having never been through the process myself, there’s not a whole lot I can add to this. Obviously, it’s very important to do you homework, as making a mistake could be very costly. If you’ve been through the process of buying a foreclosed home, I’d love to hear your thoughts. i’ve been renting a house that went into foreclosure while i was renting it. no one told me why it went under foreclosure or any of that. i paid my rent every month to the landlord. now the bank owns it and i went to the bank manager and told him that i wanted to buy the house. He said that should not be a problem and took all my information, 2 year tax return, checked my credit report and income. He std that everything looked good and that he would write a “proposal” for me and give me a call back. Well after that six months had passed and we still have not heard anything from him. Is this a legal matter why he has not told me anything? Don’t i have rights to buy the house? i’m just really tired and i don’t know what to do but i know i don’t want to leave. My husband and I recently purchased a foreclosed home. I agree with one of the comments about bidding low. The bank put very low price on the house and caused a bidding war. I think they got more than 10 offers. We offered more than the asking price, the price we are comfortable with. It really depends on the local market. Im in the Marines and me and my wife were given orders to Korea after being in Cherry Point, North Carolina for 4 years. When i re-enlisted i was given an hefty little bonus and after watching this blog and a few others i payed off all our debt off with it and put the rest into the house. When the mortgage rates dropped to the incredible low of 4.35%, I refinanced it thinking i could use the lower monthly bill to get some good investment coming in on rental when i left. Well time was in a little rush.. so instead of picking the rental person myself i hired a property manager after talking to a few and he been one for over 25 years so i figured he be good choice. The fees were 8% of the annual rent value and i originally wanted 750.00 for rent but he recommended 875.00… signed it over to him and left to Korea. was over there about 9 months before i found out that the rental people stop paying rent on the property after living there 8 months. I called the property manager and told him i need to get them out and find someone else.. 2 weeks go by and he calls me telling me that they stole refrigerator/dishwasher/stove/A/C unit outside when they left… I was really pissed off so i asked him to change the locks and i was planned to be back in the states in 2 months when all this was happening..Got to the states and went to check it out and it was worse then i imagine.. they took hammer to all the walls knocking holes in them.. stole the ceiling fans.. stole the garage door electric motor….. Im currently down in Florida doing training to advance my career but i have been given estimates on fixing all the damage and this is how its coming out to..
any advice on where I can find information on how to research/find foreclosed homes owned by banks in my area? want to avoid any scams and have always been intrigued but unsure of the process. We just bought our first home, which was a foreclosure. When we initially came to look at the house because it had been listed, we noticed that the scumbags who lived here prior, had busted the realtors lock off the door, and broke in through the back, and ran a generator to keep energy going. They eventually stole everything that was supposed to stay with the home, tore the crap out of the yard, did stupid things like unhooked the sink stoppers, and unhooked the toilet chains so they would continually run, left the sinks all on and turned the faucets onto the counter tops (so when the water was turned on they would pour everywhere), they also did more serious things such as disconnected power from the A/C unit, left exposed and live wires from the shed and front porch lights that they stole. Ugh… what a mess. However, despite all of that my wife says that she’d do this again. It took the bank 3 months to come back and agree to our initial offer. When the home was in pre-foreclosure, they had it listed at $225,000. 2 years later, we ended up purchasing the house for $85,900. It has been appraised at $140,000 in current market conditions. Although monetarily it was very much worth it, we did have some stress in our life waiting so long to get an acceptance (or any kind of response from the bank (or our crappy realtor))(thus having to go month to month in our apartment and paying nearly double for rent), and every time we visited the house we saw more things missing that shouldn’t have been. It’s hard to say for sure however if I would do it again, because even though our home is theoretically worth that much, we don’t see that value in our daily lives. I would almost rather not have those same worries, and not go through the lengthy process. I think generally your comments are accurate. However, not every market is the same. We’ve been looking for houses since February and have been “outbid” on 3 offers. In the Minneapolis market we are seeing lots of foreclosure properties being listed at below bargain prices and then creating a bidding war and often selling them at market prices. This has been really frustrating, since we are trying to buy our first house and investors are swooping in and purchasing houses within days of hitting the market. We continue to be patient and are waiting for another house to put an offer on, but it is not entirely a buyer’s market in every market. 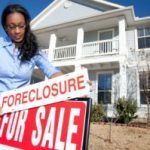 You may also want to remind your readers that, if you buy a house at the foreclosure auction, you are required to evict the current residents. That can be a sticky process. With the increase in foreclosures in my area, my interest has been piqued. Knowing nothing about the whole process, would you contact the real estate agent who represents the bank? While not a foreclosure my wife and I recently put in a bid on a short sale. So far we have waited one month to hear from the bank. Incidentally it’s Indymac, which has failed. We were told up front to plan on it taking a while. The house was not “cosmetically clean” as the previous poster mentioned, but was very structurally sound. There were multiple offers on the property so be prepared to go above asking price. Many of the banks now are pricing things extra low in the hopes of securing multiple offers on a property. Seems to work. We were looking at a foreclosure around the corner and it had four offers on it. Needed a lot more work than the short sale though. My first home purchase (2/2005) was a bank-owned foreclosure. The entire process from start to finish was pretty smooth, although this was before the housing crash. As far as buying a foreclosure, regardless of market conditions, always look for a home that is sound structurally. If the home appears to be a disaster area, but is still structurally sound, that provides an opportunity for a motivated investor. A lot of buyers will stay away from homes that are not cosmetically clean because they don’t want to put in a ton of work. The willingness to work is a must if you want to turn a profit on a foreclosure. I suggest staying away from homes that are more than 15 years old, due to problems with age-related failures. You do not want to mess with a furnace, roof, etc. that are more than 15 years of age. Talk to the neighbors, and make sure they’re not heroine addicts! You may laugh but this happened to my wife & I. Buying a foreclosure can get you into some areas that may be less than desirable, even if they do not appear so at first glance. After living in our 1st home for 4 weeks, we woke up on a beautiful Saturday morning to find 4 cop cars lining our front property line and walking, guns in hand, down the street to bust up a meth lab down the street! I know it sounds like I lived in downtown Detroit…it wasn’t that bad…my point is, you do need to research the neighborhood before buying! Trust me! With a lot of hard work, my wife & I were able to make a $15,000 profit in just 2 years…which really helped us out.